Everyone has a favorite pie. The one thing the experts agree on is that a perfect, flaky crust is required for a pie. 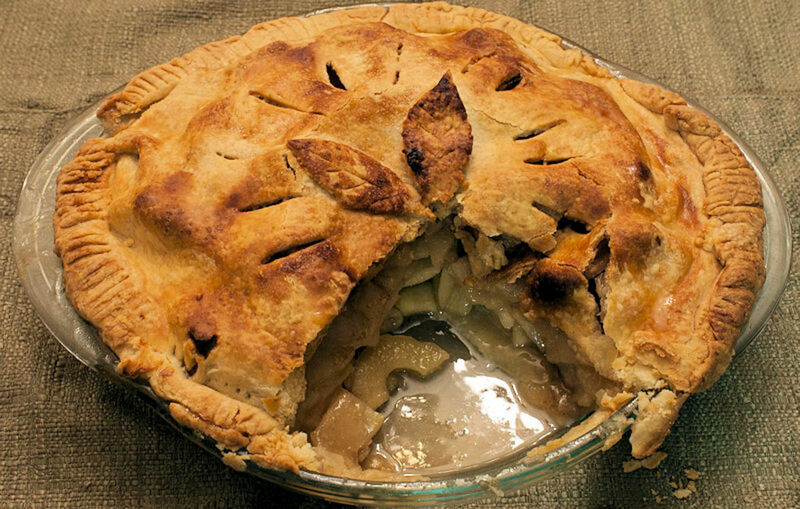 There are tons of pie crust recipes out there and every pie maker swears by their nana's, mother's or auntie's recipe. Basically, there are some well known tips for making the perfect pie crust that help with any recipe. These tips are best used for the flour and oil/butter/shortening type of crusts. Always mix the dry ingredients first. Always use cold butter or shortening cut into small pieces - cut in the cold pieces until they are the size of peas. Or just use Canola oil like in the video. Use iced cold water when called for and mix it into the dough a spoonful at a time. Keep it cold - refrigerate the dough after mixing to allow for complete absorption and distribution of the flour and fat. Cold dough is stiffer and easier to work with while rolling. Use only a small amount of flour for rolling out - just enough to keep it from sticking. Don't re-roll the dough - just patch any cracks in the dough while it's in the pan. Too much flour or handling will make the dough tough. Single crust pies are sometimes pre-baked. This is usually true of custard type pies or "no-bake" pies. To pre-bake the bottom crust, use a hot oven (425° F.) and place the pie shell on the bottom rack. Check every five minutes. Use a fork to poke and flatten air bubbles in the crust. Mix until water is mostly worked in. For better handling, refrigerate the dough for an hour, then roll it out to fit your pie pan. Shape the edges as desired. There are a few popular 'ready made' pie crusts. Recipes can also be found for these types of crusts, but a real pie needs a real crust! Any good pie recipe will specify what kind of crust to use. You can get creative and use just about anything for a pie lining. There are even such things as 'magic crusts' where some of the ingredients sink to the bottom and make a crust all by theirselves. Pecan pie tops this list because it is my own favorite pie. 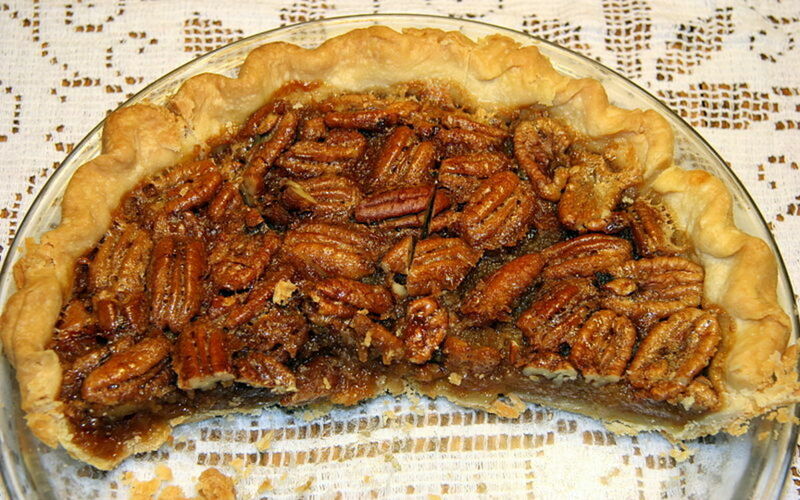 New legislation has been introduced this year to make pecan pie the official Texas Pie. I think it will pass hands down. Pecan is already the state nut and the state tree. Make one flour/oil crust and prepare the pie tin. In a bowl, beat 3 eggs well and add 2/3 cup of sugar, a dash of salt, a cup of dark molasses (or dark corn syrup) and a half cup of melted butter. Mix well. Add one to one and a half cups of pecan halves and stir. Set the crust lined pie tin on top of a cookie sheet on the middle oven rack. The oven temperature will be set at 350° F. (180° C.). Pour the pecan mixture into the prepared unbaked crust. Bake for 50 minutes until a knife inserted halfway between the center and the edge comes out clean. Some people love to add chocolate to pecan pie. It's delicious! If you want to add chocolate, chop up about three ounces of semi-sweet block chocolate and stir it in with the pecans. If you like the flavor of bourbon, stir in a couple of spoonfuls of your favorite good quality bourbon or whiskey. Other spirits like Amaretto or Rum can be added instead of bourbon. Pecan pie is fairly versatile, people have added coconut, walnuts and maple syrup. Some people have used shelled peanuts instead of pecans. The cook gets to decide what to put in a pie! Some popular pies require a pre-baked crust. The cream pies are a perfect example of these delicious, custard cream desserts. Make the perfect flour dough crust, put it in the pan and bake it according to the directions for pre-baked crusts above, then get ready to cook the number two requested pie in my book. 2. Stir in two cups of milk (or light cream) - Cook mixture until bubbly (stir continuously). Cook for two more minutes. Remove the pan from the heat. 3. In a separate bowl, slightly beat three egg yolks. Spoon a small amount of the hot pudding into the egg yolks to temper them. Immediately add the egg yolk mixture back to the sauce pan, then return to cook for two more minutes, again stirring constantly. 4. Remove the sauce pan from heat and add two Tablespoons of butter and one teaspoon of vanilla extract. Mix well. 5. Add one cup of flaked coconut and mix. You may use sweetened or unsweetened coconut flakes. 7. Sprinkle coconut flakes on top of the meringue and bake according to the meringue directions. 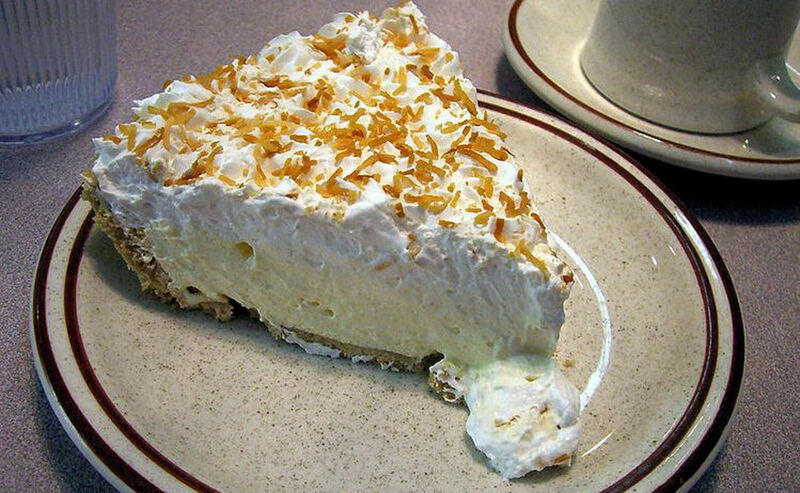 Watch the pie to make sure the coconut does not burn. 8. Remove from oven and allow to cool. Refrigerate until serving time. This pie is served chilled. After stiff peaks form, add six Tablespoons of sugar, one tablespoonful at a time. Keep beating until stiff, glossy peaks form and all of the sugar is dissolved. . Spread the meringue onto the top of the hot pie filling and seal the meringue to the crust all of the way around the shell. 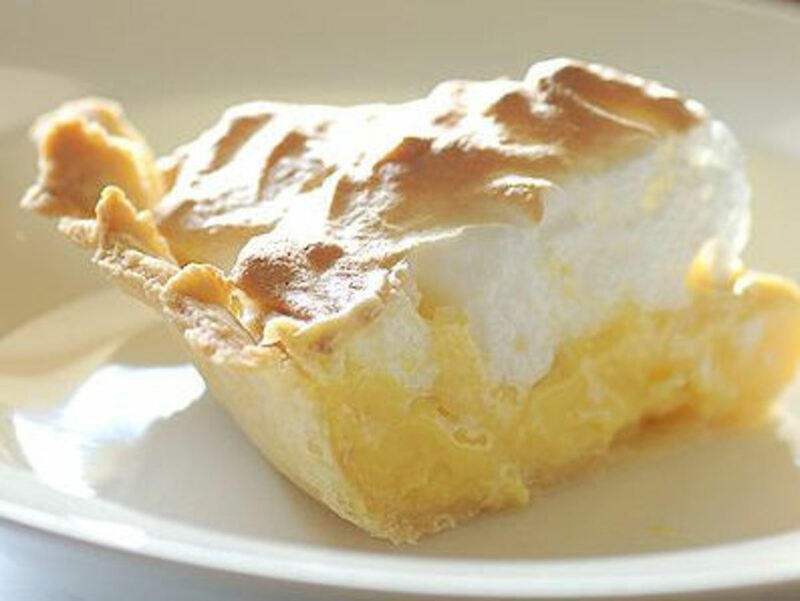 Bake the meringue covered pie at 350° F. (180° C.) for 12 to 15 minutes until meringue is golden in color. Cool thoroughly. Tip: Dip the knife in water before cutting through the meringue. Variant: An alternative topping for cream pies is whipped cream. You can buy whipped cream in a can or buy a carton of heavy whipping cream and whip it up yourself. This topping should NOT be baked, only cooled. Tip: Do not spread whipped cream over a hot pie! Chill the pie thoroughly before covering it with whipped cream. Fruit pies are the easiest pies to make. No fussing with perfect crusts (except for the flavor). You can use just a bottom crust, or just a top crust, or both. When fresh peach season hits, it's time to grab a peck of peaches and make a peach pie! Fresh and hot and served with vanilla ice cream, this cobbled together pie and crust is the easiest of the popular pies. If you can't wait for fresh peaches, use two 1lb. cans of sliced cling peaches instead of two pounds of fresh sliced peaches. Either way is fantastic. Double this recipe if you are using a large baking pan instead of a pie tin. If you cut up the peaches, you should be able to get about 1/3 cup of juice - save this juice. If you use canned peaches, reserve about 1/3 cup of the juice from the can. 1. In a sauce pan, combine 1/2 cup of sugar, 2 Tablespoons of flour, 1/4 teaspoon of nutmeg (if desired), 1 teaspoon of cinnamon and a dash of salt. 2. Stir in the 1/3 cup of peach juice and mix. 3. Cook, stirring constantly until thick and bubbly. Remove from heat. 5. Line the pan with a flour dough crust. 6. Pour in the peach mixture and spread evenly. 7. Top the pie with another flour dough crust. This crust may be all one piece or you may use some kind of clever design like a lattice top crust. Just lay strips of dough across lengthwise and widthwise to cover the filling. All crusts for peach pies must have openings for the steam to escape. 8. Sprinkle the top of the crust with some sugar and cinnamon. Add some dots of butter around the crust. 9. Bake at 400° F. (200° C.) for 40 to 45 minutes. Start checking the top for crispness at 40 minutes and every five or ten minutes after that until top is golden brown. It's American as Apple Pie! 1. Prepare enough dough for a two crust pie and line the bottom of the pie pan with one of the crusts. Put the crust lined pan and the top crust dough (wrapped) in the refrigerator while preparing the apple filling. 2. Cut up six to eight apples (see sidebar for popular varieties). If desired, sprinkle a tablespoonful of lemon juice on the apples and stir. This prevents browning (oxidation) of the apples. 4. Add the filling to the bottom crust and top off with small dots of butter. 5. Arrange the top crust to your liking. Leave vents for the steam. 6. Bake at 400° F. (200° C.) for 50 minutes. Check the pie towards the end of the baking time and remove when the crust is golden brown. Chocolate is good for you! Especially dark chocolate. So why not have chocolate pie daily? It's easy to make and who doesn't love it? 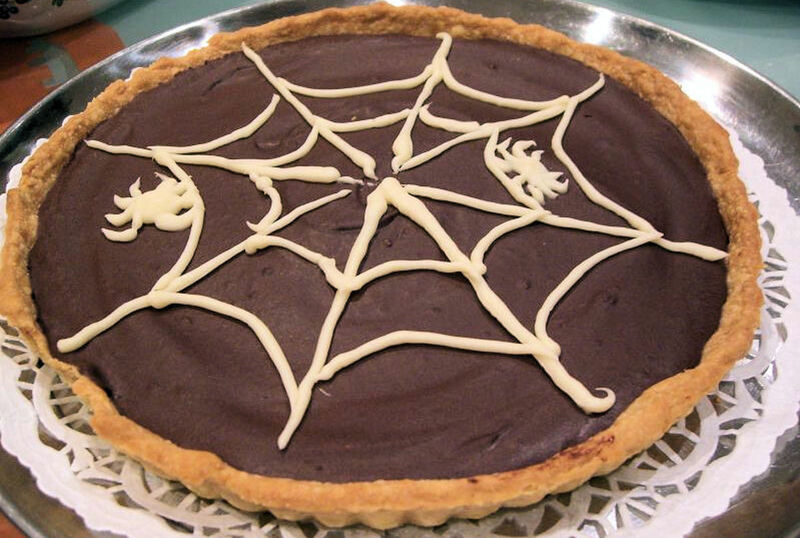 Chocolate pies are the types of pies that use alternative crusts most of the time. The flour dough crust is still the best, but must be pre-baked. Quick chocolate pie makers resort to graham cracker crusts, cookie crumb crusts (especially chocolate cookies) and crushed nut crusts. Whatever crust you use, this pie is one of our favorites. 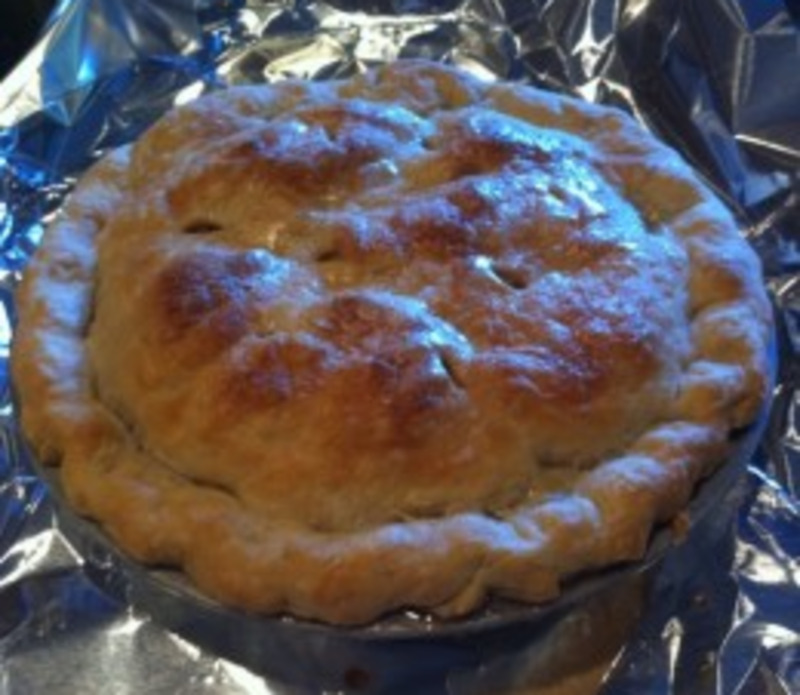 Line a pie pan with the finished crust of your choice and chill it in the refrigerator. This is a cold pie. 2. Stir in two cups of milk (or light cream), plus two ounces of chopped unsweetened chocolate. Cook mixture until bubbly (stir continuously). Cook for two more minutes. Remove the pan from the heat. 3. In a separate bowl, slightly beat three egg yolks. Spoon a small amount of the hot pudding into the egg yolks to temper them. Immediately add the egg yolk mixture back to the saucepan, then return to cook for two more minutes, again stirring constantly. 5. Cool this mixture for 30 minutes and then add it to your cooled crust. Return the pie to the refrigerator and cool completely. 6. Top with whipped cream or a design of your choice using cake decorating frosting as shown in the photo. Enjoy! 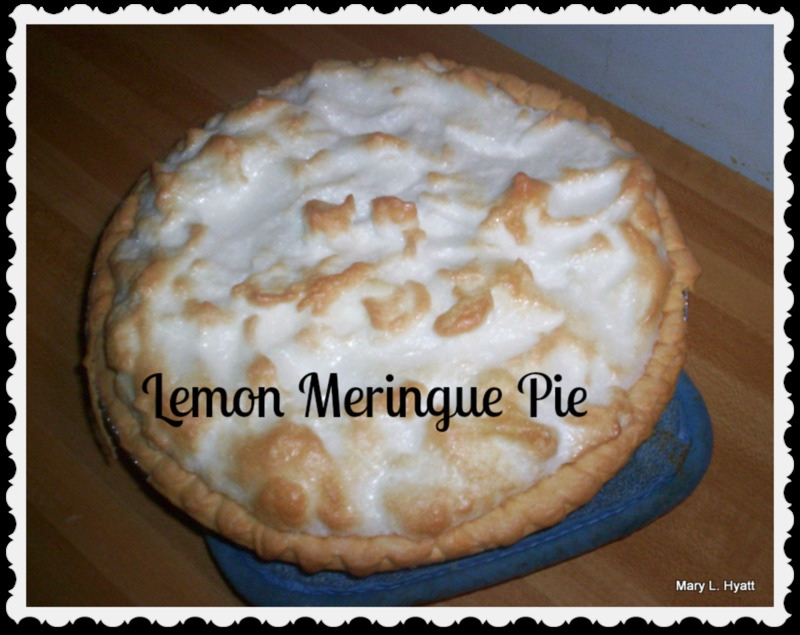 A really good lemon meringue pie is hard to find. 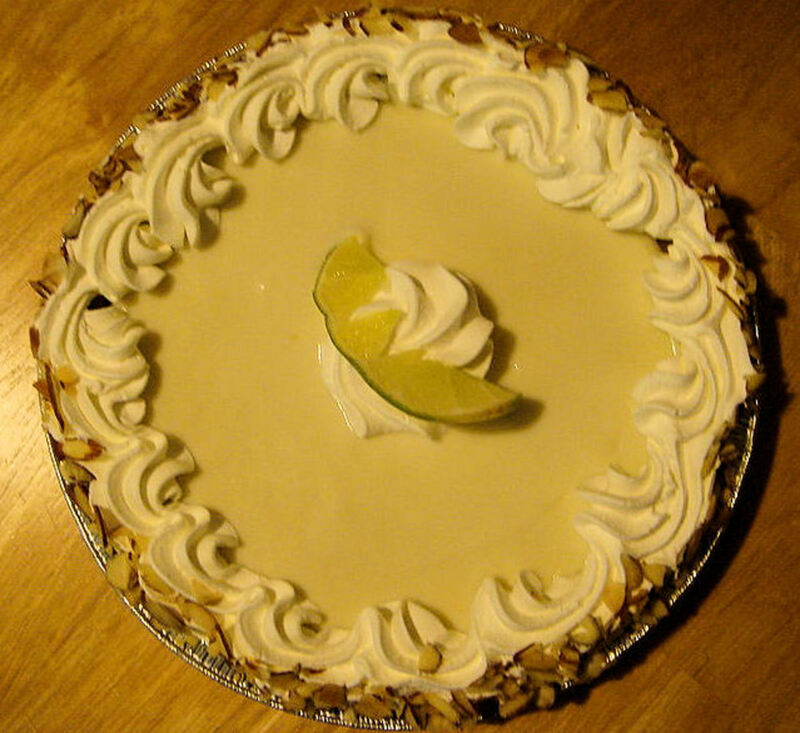 Lemon and lime pies are made exactly the same way, but with different citrus fruits. Real 'Key' limes are somewhat bitter and take a lot of sugar to make them palatable, but regular limes are almost equal to lemons. Prepare a bottom pie crust of your choice. This is a cold pie, so pre-bake the flour crust if that is what you are using. 2. Beat four egg yolks together with 1/3 cup of lemon or lime juice. 3. Add 2/3 cup of water to the egg yolk mixture. 4. Stir the egg yolk mixture into the gelatin mix and cook and stir over medium heat until mixture comes to boiling and the gelatin is dissolved. 5. Remove the sauce pan from heat and stir in 1 teaspoon of grated lemon or lime peel. 6. Cool, stirring occasionally until cool enough to add to the pie crust. Chill thoroughly. 7. Top with meringue (see directions for meringue) or whipped cream. Serve cold. Rhubarb is a sour, celery like plant. 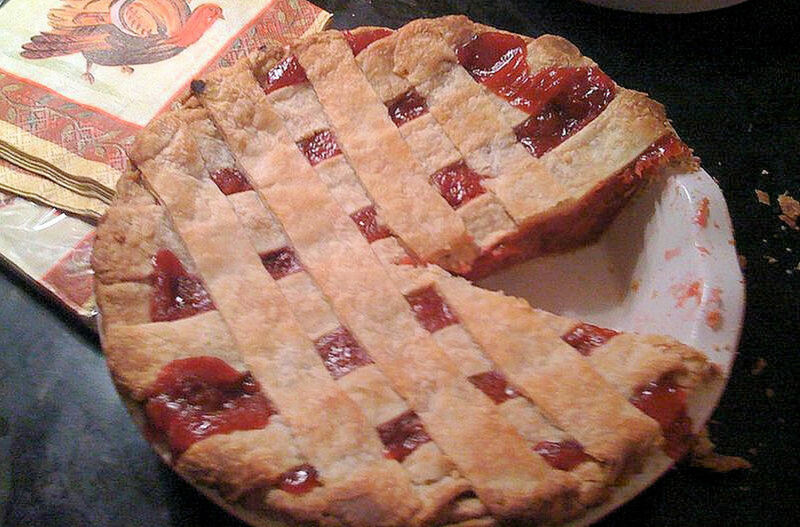 I have no idea why anyone ever tried to make a pie out of it, but a lot of people really like rhubarb. They do say it's best mixed with strawberries. 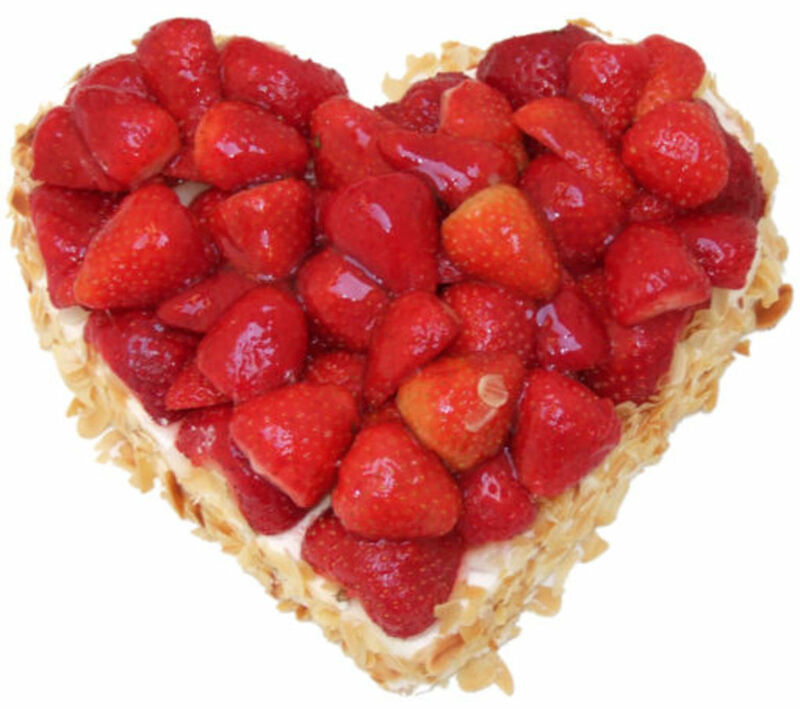 This may compensate for the mushiness of strawberries in general or it may be that it volumizes the pie. Either way, if you love rhubarb, by all means find a good rhubarb pie recipe and make it. Prepare a flour crust and pre-bake it. Allow the crust to cool (See directions above). 1. Crush or pureé a cup of fresh strawberries. Add a cup of water and cook on medium heat for two to five minutes. Strain the juice into a bowl and rinse out the pan. Return the juice to the sauce pan. 2. Add 3/4 cup of sugar and 3 Tablespoons of cornstarch. Cook and stir until thick and bubbly. Stir in a few drops of red food coloring if desired to make the pie appear bright red. 3. Place one and half cups of fresh, sliced strawberries into the prepared crust. Pour half of the thickened glaze over the berries. 4. Add another layer of fresh, sliced strawberries, or use the whole berries pointy ends up. 5. Cover the top layer with the remaining glaze and refrigerate until cool and set. 6. Top with whipped cream or ice cream. If you love pumpkin pie, then all other pies just fall by the wayside. Pumpkin is officially a fruit, but many people think of it as a vegetable. It is a native of North America which is why it is associated with the original Thanksgiving dinner. Thanksgiving in the U.S.A. is celebrated on the fourth Thursday in November. The date is flexible. Prepare a flour dough pie crust and pre-bake it as described above. In a sauce pan, combine 1/2 to 3/4 cup of sugar, 3 Tablespoons of cornstarch, 1/2 teaspoon of salt, 1/2 to 1 teaspoons of cinnamon, 1/4 to 1/2 teaspoons of nutmeg, 1/2 teaspoon of ground ginger (if desired) and 1/4 teaspoon of ground cloves (if desired). Gradually stir in one cup of canned pumpkin or cooked and mashed fresh pumpkin. Stir in two cups of milk or cream. Cook, stirring constantly until mixture starts to bubble. Cook and stir for two more minutes and remove from heat. In a separate bowl, slightly beat three egg yolks. Spoon a small amount of the hot pumpkin mixture into the egg yolks to temper them. Immediately add the egg yolk mixture back to the saucepan, then return to cook for two more minutes, again stirring constantly. Pour the filling into the cooled pie crust shell. 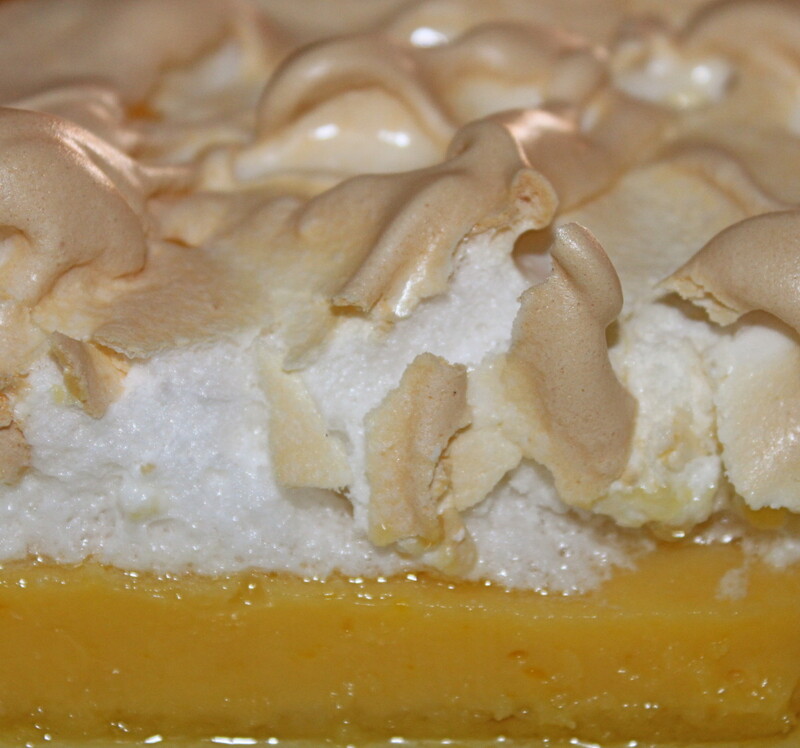 Allow to cool and top as desired with a meringue (see directions above) or with whipped cream. This pie works with no topping at all! Just chill and serve. How to cook a pumpkin! In easy illustrated steps! This guide on How to Make Homemade pumpkin pie - fully illustrated, with complete, simple recipe and directions. 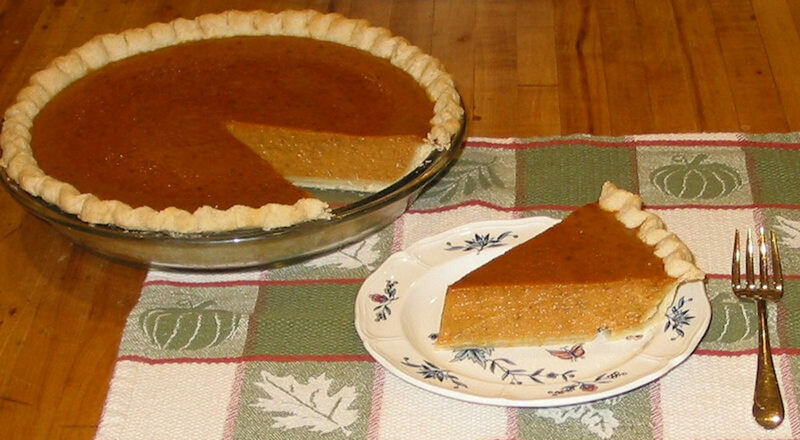 The pumpkin pie will taste MUCH better than anything you've ever had from a store without adding any sugar or presevativesl. "I cannot tell a lie. I chopped down the cherry tree," said George Washington (allegedly). Washington probably wanted the cherries to make a pie. Cherry pie is on an equal footing with peach pie, but they are different enough to merit a place in the top 10 of pies. Unlike the Father of Our Country, I am going to cheat on this recipe. You can use the exact same recipe for cherry pie as you can for peach pie. Just use pitted cherries instead of peaches. Instead, I present to you the cheater's way to make a 'home made' pie that tastes every bit as good or better than the pie you slave over to impress your friends and family. No one will ever know the truth. Use pre-made frozen dough or pre-packaged mix for pie crusts - enough for the bottom and lattice top. Just cut the top crust into strips and criss-cross them. 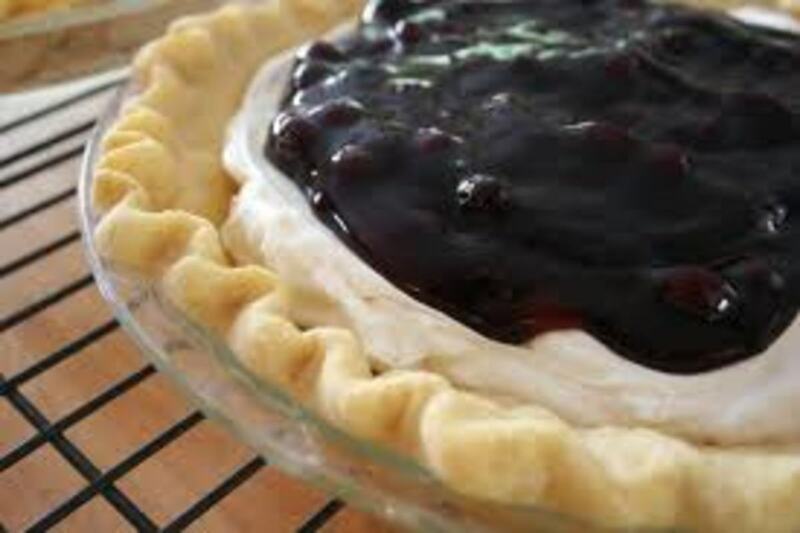 Use canned cherry pie filling - It's ready to dump in the crust and bake. Assemble the pie and bake according to the directions on the can of pie filling. Almonds and cherries go very well together. An alternative to a flour or other type of crust, nut flours may be used in place of wheat flours. This will be 'gluten free' which is all the rage right now. A good low carbohydrate Almond pie crust recipe can be found at About.com. Slivered almonds can be used in place of a formed crust for a cherry pie. 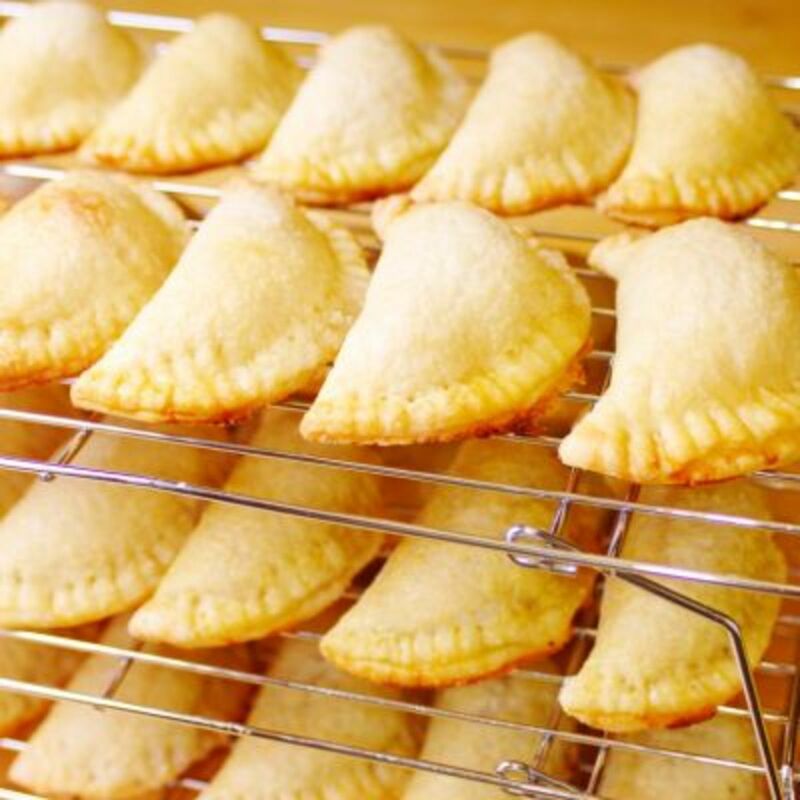 Just spread a bag of pre-soaked slivered almonds in a pie tin, and place the filling on top. Bake times will have to be adjusted as the nuts will burn quicker than a formed crust. 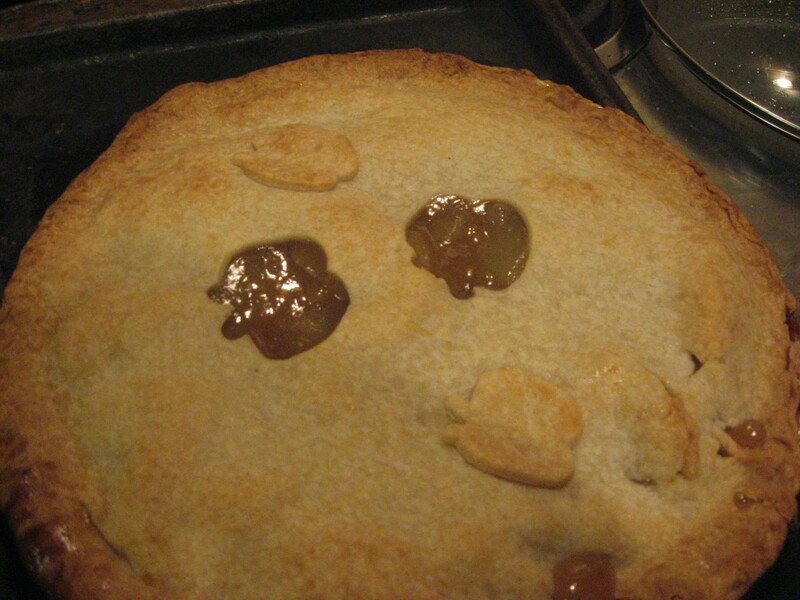 Top with more slivered almonds for a pretty pie. Vote for the number one pie from this list! Which of these ten pies is your favorite? None of the above - my favorite is another kind of pie. It's like eating cookies and milk together. 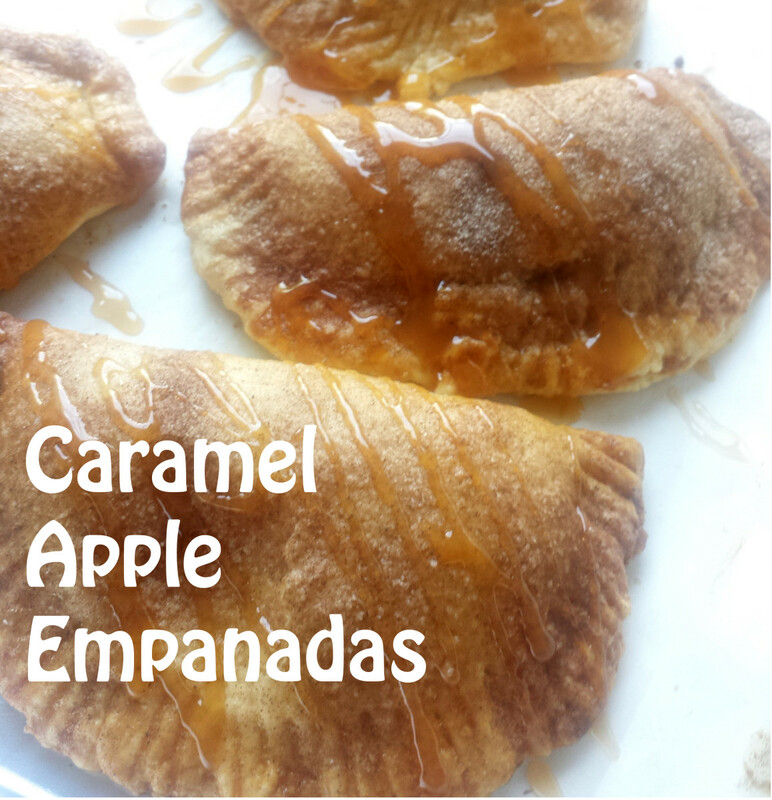 Easy to use and possibly healthier, although they are not low in calories. Since 1995, amateur, commercial, and professional bakers have competed in the National Pie Championships to determine who makes the best pies in America. The Ultimate Book of Pies is a collection of nearly 200 delicious recipes that have won awards at the National Pie Championships. Comments - Which do you like better - cupcakes or pies? I want some lemon pie! Just slide through on my email plate! We always have a dilemma in our house because none of us can agree on a favorite pie. Lemon is the best in my opinion. This hub has inspired me to make a pie. Thanks. The highest calorie pie is the pecan pie. But then again, pecans are a healthy nut! Sugar substitutes help to cut down on the pound gaining. omg! I think I gained 10 pounds just from reading this! SO YUMMM!! That's what I usually do. There is a refrigerated brand that tastes just as good if not better than home made although the oil crust is pretty easy really. I dislike 'cutting in' shortening or butter, but adding oil is a snap. Pecan pies are so easy! Just mix up the egg and molasses mixture, add the pecans and pour it into the crust. You will be delighted with the results! I always add lots of pecans. As many as will fit into the pie. Oh yes, the pie crust. It's easy and hard at the same time, right? When we first got married I used to bake a pie almost every week. I got away from baking pies but I still enjoy them. My favorite too is pecan, but I've never attempted to make one. I think maybe for Easter I'll bake a pecan pie. Delicious hub with so many great tips. I especially like your pie crust tips. Mmm, that lemon looks divine but I'm very partial to banana cream. Thanks for the photos and tips but now I'm craving some pie ! I'm guessing you make a walnut pie the same way as a pecan pie? Sounds lovely. Great hub on assorted pies, Austin. Walnut and pumpkin are my fav. Austinstar, I may do a hub on Mom's caramel pie! I will have to make one and take pictures of the progress. Surely you can make a pie with a pre-prepared crust? Some of the frozen pie crusts come in disposable pans, already fitted to a pan! Nothing to it. This hub makes me feel hungry. I love pies. I'm useless at making them though. Thanks for all the recipes and the great tips. Well, Silva, please do a hub on your mom's caramel pie! It sounds delicious. Super hub. Voted Up, useful, and interesting. My mom made a caramel pie; she carmelized sugar and made it all from scratch, including the meringue topping. It was heavenly. I voted for Key Lime pie, but then I remembered my mom's caramel pie and I should have written it in. Blackberry pie did not make any of the top 10 pie lists I perused before assembling this one. 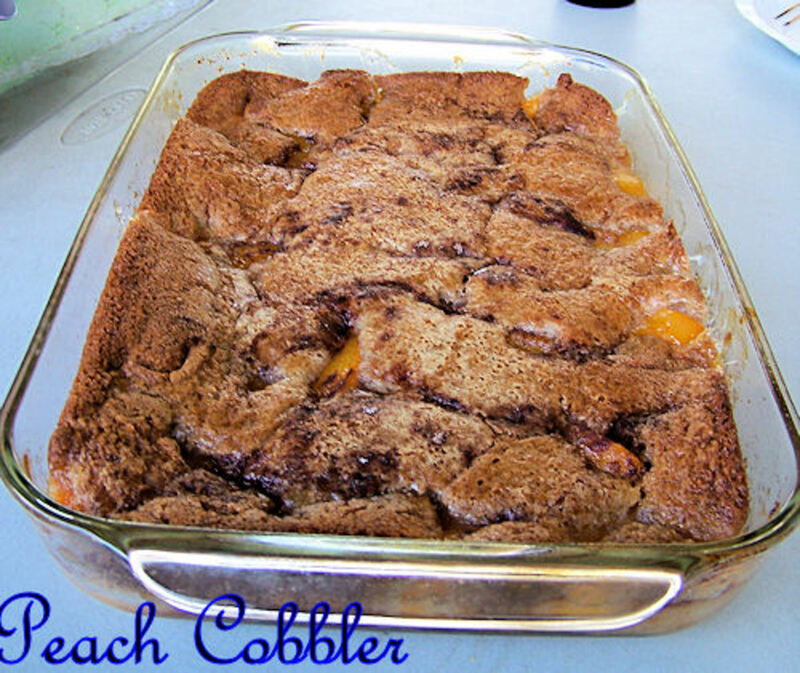 It's the same as peach cobbler though. I've made lots of blackberry cobblers. My brother and I used to pick them by the railroad every summer. It never was my favorite, but I did eat quite a few of them. Oh I saved this because I love the pies and the instructions on how to make a pie crust. I am horrible about making pie crusts. Thanks for this hub and I am sharing it. There is one that you are missing and that is Blackberry pie. I LOVE blackberries. Will, I have never ever tasted or even seen a rhubarb pie. But those who have swear by them. Pecan pie is my all time favorite, Carol, but I don't turn down the other ones either. drbj, I love me some TexMex too. Maybe that will be my stellar hub for April's contest. Pecan pie is my favorite, Lela - not the pie crust, just the pecan filling. But I will share all ten recipes with a friend who loves pie - the whole enchilada. I love pecan pie and I love nutty crusts...And I love your pictures. Great recipes and they will get pinned in my recipe department..Votes up of course. I love a straight rhubarb pie. In Iowa, every garden had a patch of rhubarb, and the stuff by itself was far too sour to eat, but with sugar and a great crust...wow! Mom used to bake them all summer.